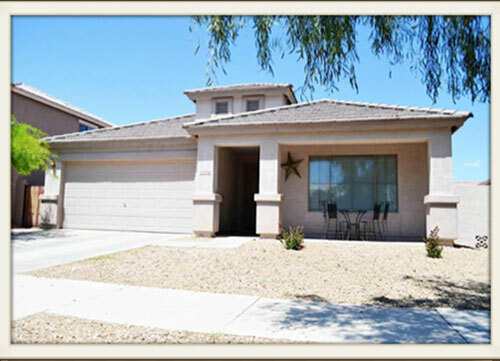 Golden Age Assisted Living Home is conveniently located in a quiet, family oriented, residential neighborhood at 17176 W, Watkins Street in Goodyear, AZ. We are off of Cotton Lane between Yuma Road and Lower Buckeye Road. We are just minutes from the I-10 freeway, West Valley Hospital, Banner Estrella Medical Center, many doctors offices and clinics, shopping, banking and entertainment. 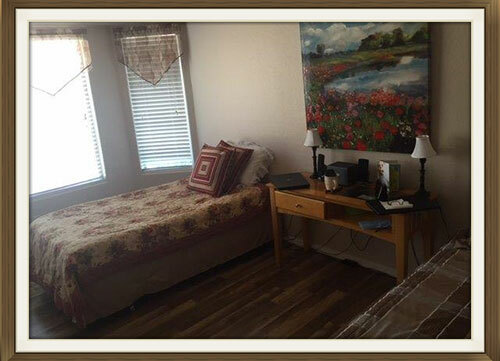 We take great pride in providing a very tranquil and safe place to call home. Wee have a staff dedicated to your loved ones well being. Our caregivers are state certified with years of practice. We update the resident service plans in compliance with the Department of Health, monitors vital signs and meets with the physician to discuss any new or existing concerns. We oversee care of each resident and we are diligent advocate to ensure each resident's emotional, spiritual and physical needs are being met. 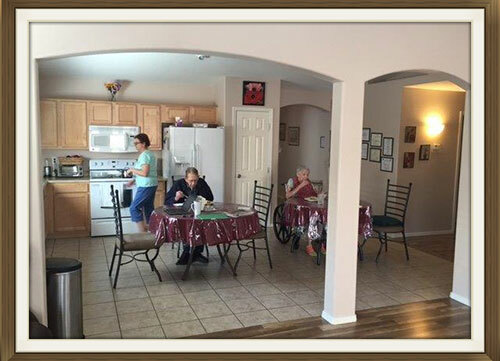 We know that the transition from the comfort of your own home to an assisted living home can be a difficult adjustment for your loved one. We offer luxurious amenities to help ease the transition including private and semi-private, furnished or unfurnished rooms. A spacious master bedroom with private bath is also available. 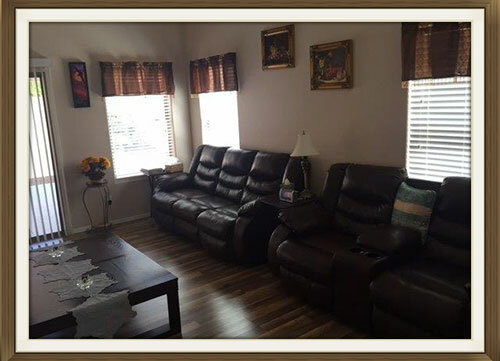 There is an open common area perfect for family gatherings and a backyard with a covered patio area. Daily home cooked meals and a calm and quiet restful environment are just a few of the amenities we offer to our residents.